The Bible says to GO into ALL the world and PREACH the gospel to EVERY creature! 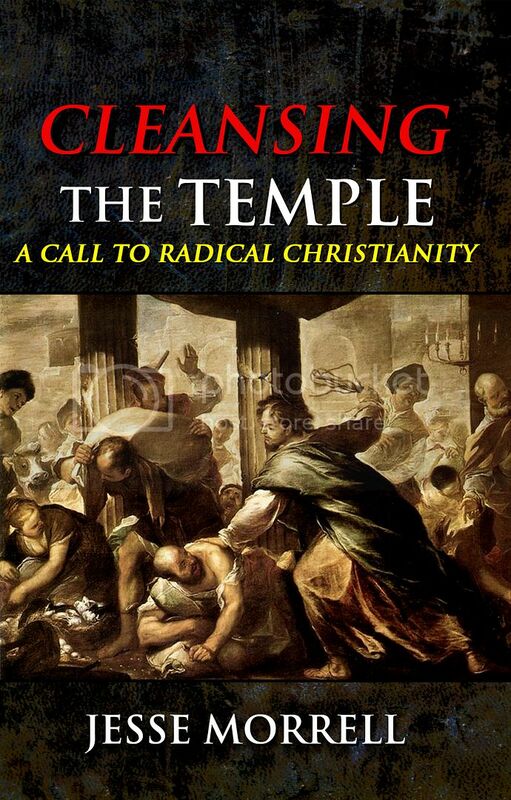 Jesus died for everyone and God is calling all men everywhere to repent. Since the heart of God is that none should perish but that all should come to repentance, that needs to be our heart too. 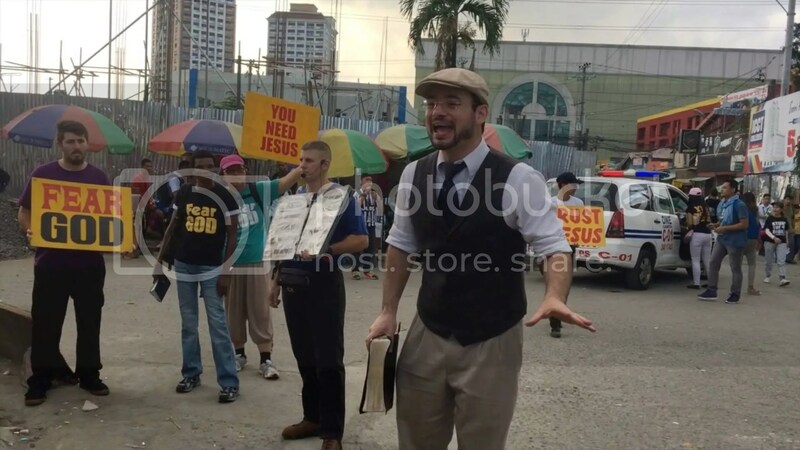 I was blessed with an opportunity to preach the gospel in the streets of the Philippines! I had not been to this country for about ten years. I was lecturing for two weeks for a Youth with a Mission Discipleship Training School. However, part of being a disciple is actively sharing your faith. 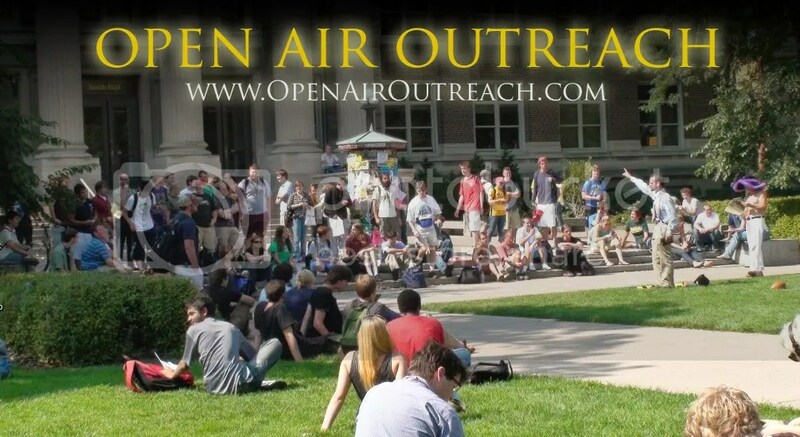 Therefore, we would take the students out for some street outreaches. We went to an area right in front of a Filipino University. 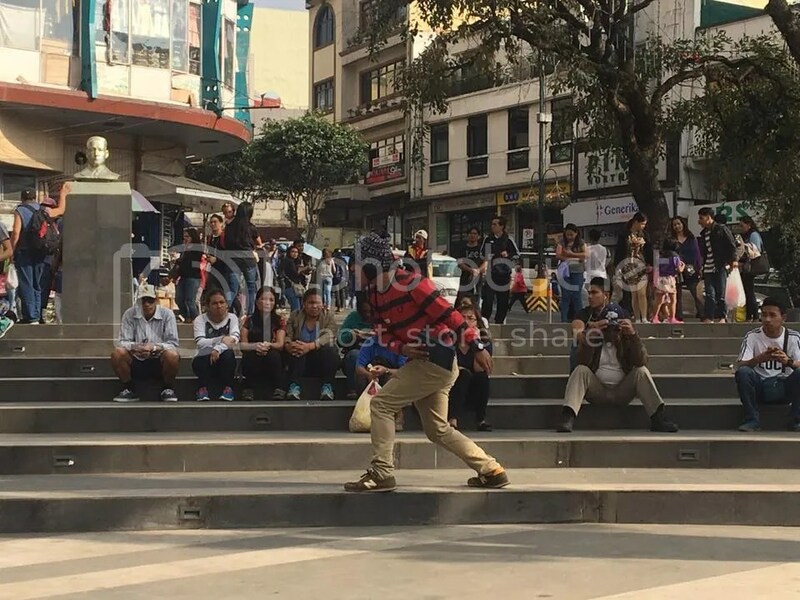 The streets were full of students, vendors, and all sorts of people. 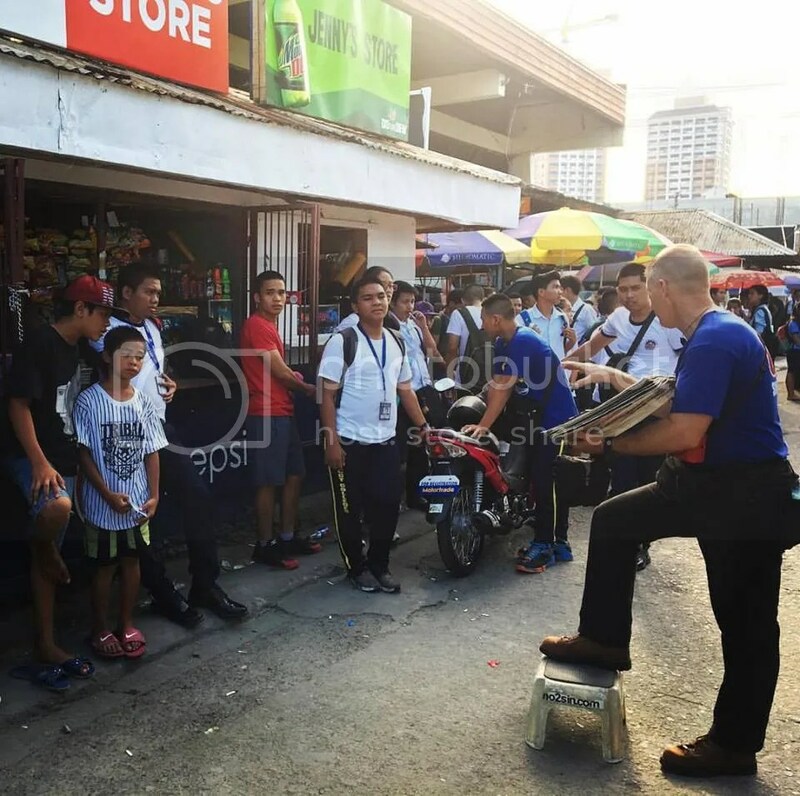 What’s great about the Philippines is that there is a very active street life. 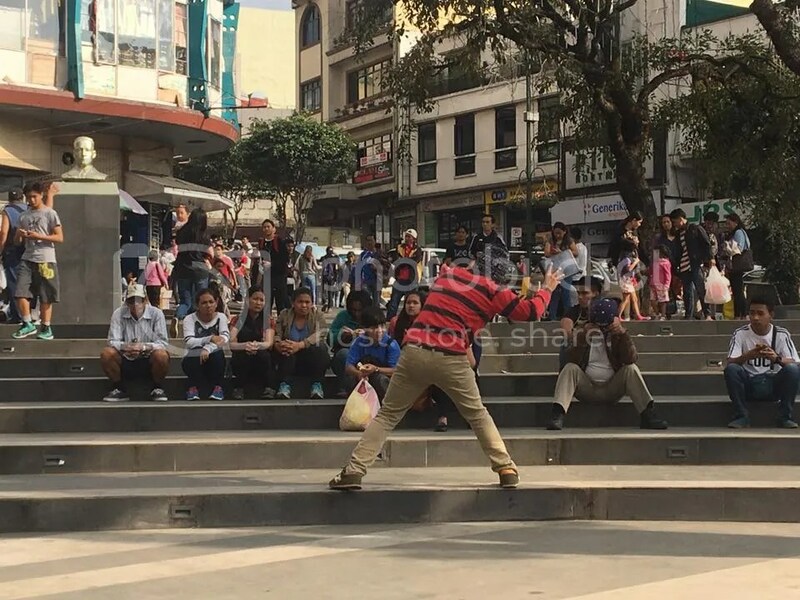 You could literally preach on a thousand different street corners in the city and have a good size crowd at each one. 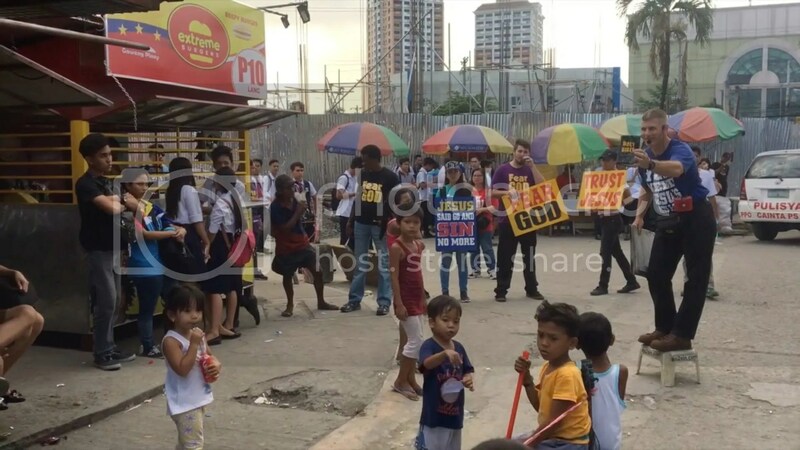 In this way, the Philippines is like a Street Preacher Paradise! 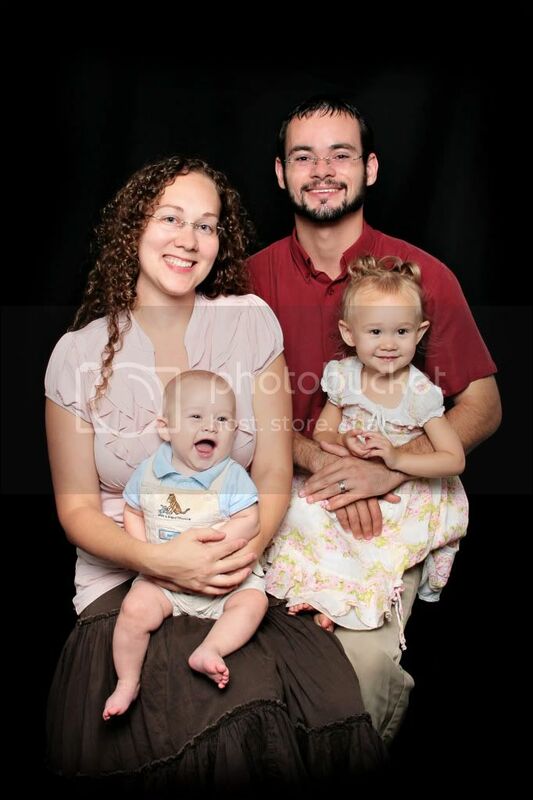 My friend Mitch has been a missionary to the Philippines for over twenty years. 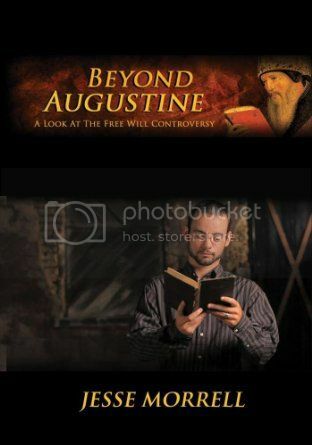 He was the Director of the Discipleship School I was lecturing at. 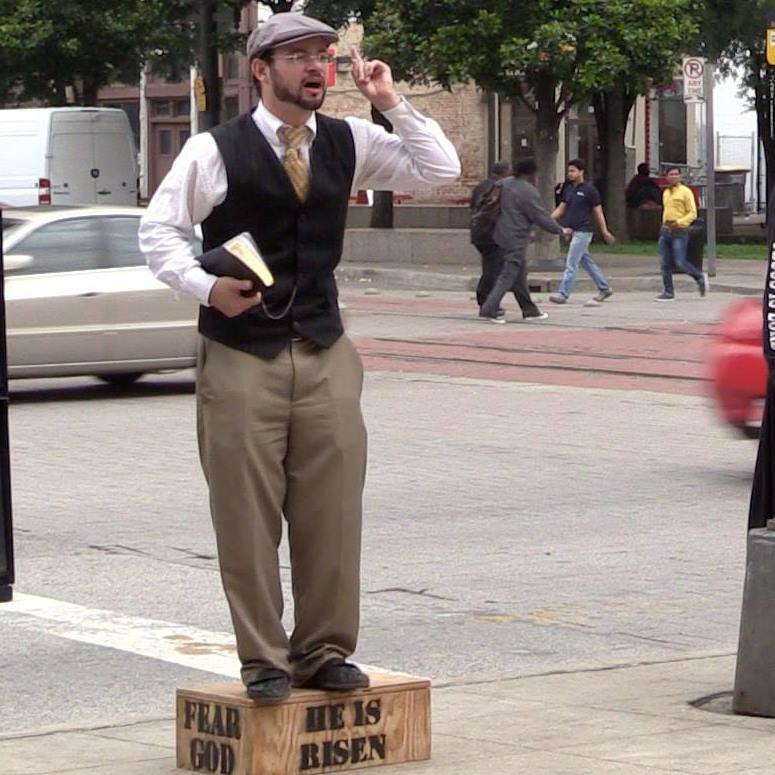 He is also a very dynamic street preacher. 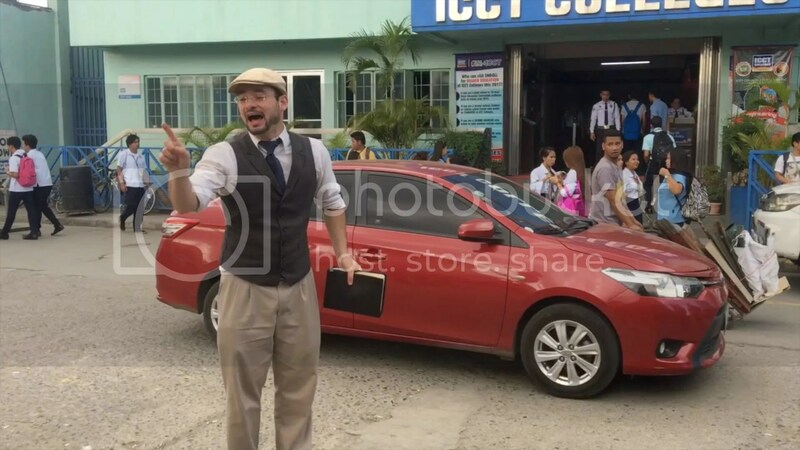 We have done some preaching together in the United States and the Philippines. 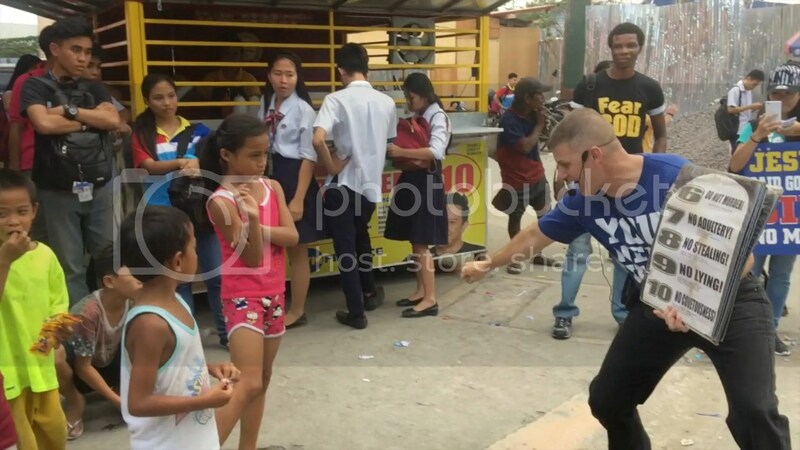 There is a very major difference between American culture and Filipino culture. 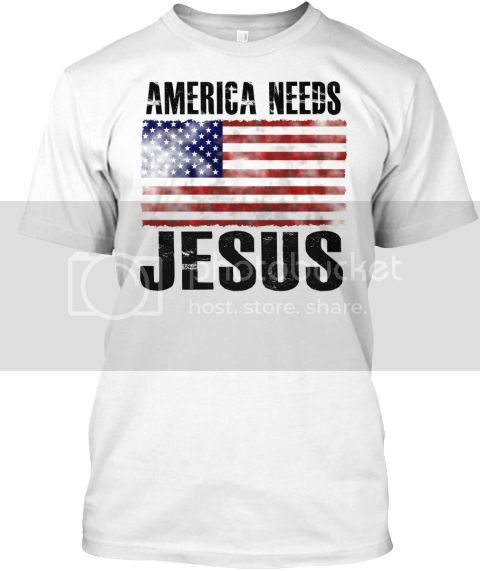 In America people are very vocal with their opinions, criticisms, and disagreements. 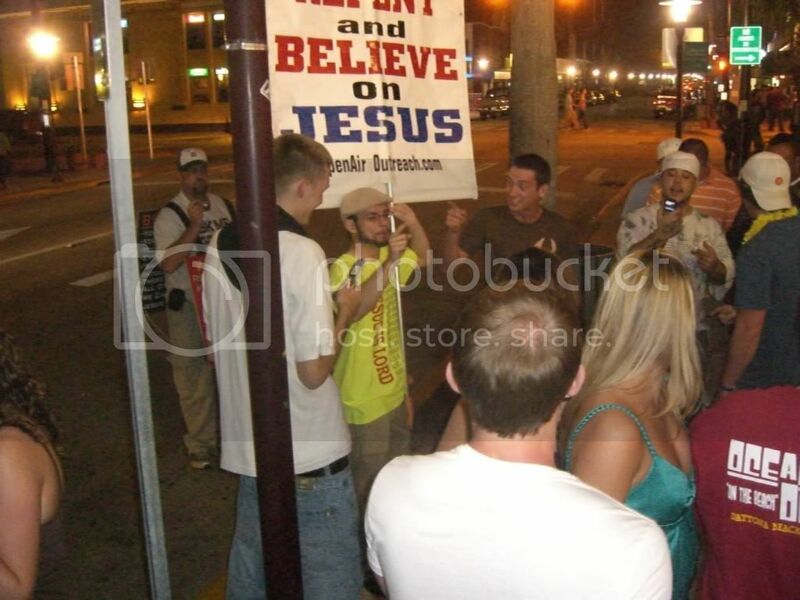 As a street preacher in America I always expect heckling from hecklers. Heckling is almost always part of my outreaches. I anticipate it. 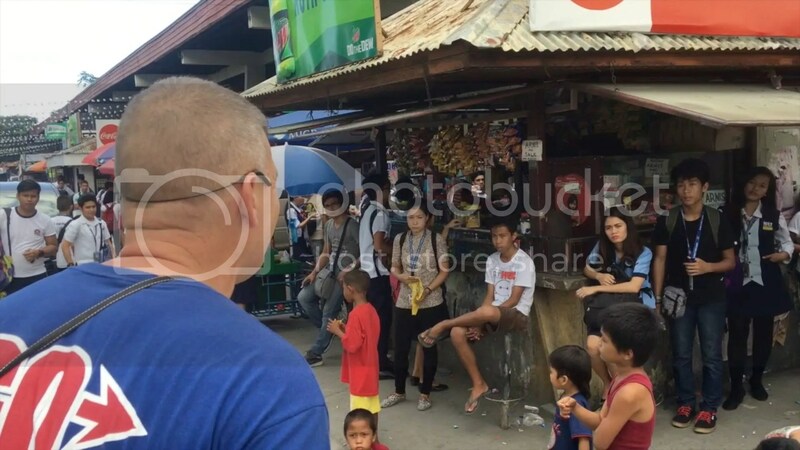 But in the Philippines, people are too respectful and well mannered to heckle you. It’s not their culture to vocally criticize and voice their disagreements. 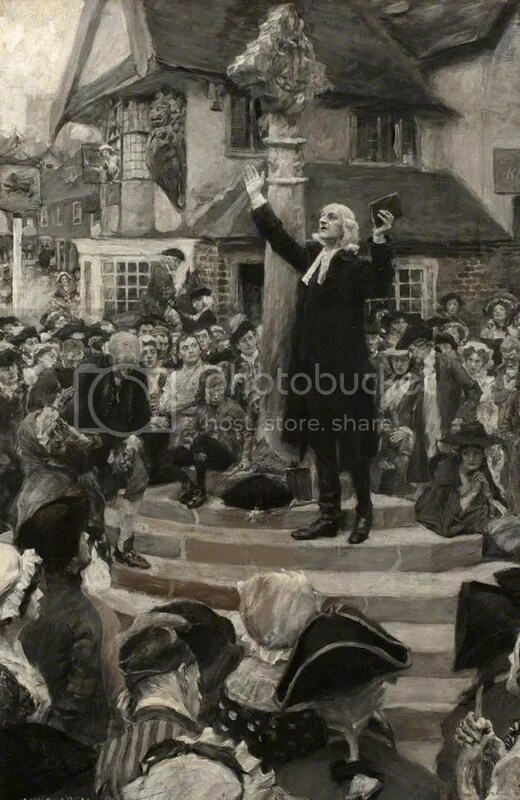 So when we street preach there the audience stands silent and just listens. Mitch has all sorts of signs for his students to use. When he preaches he has a small flip chart with different pictures to use. 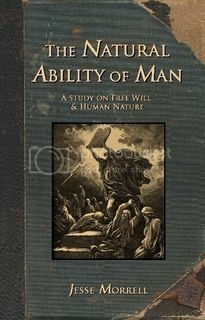 This is the old school Ray Comfort approach. 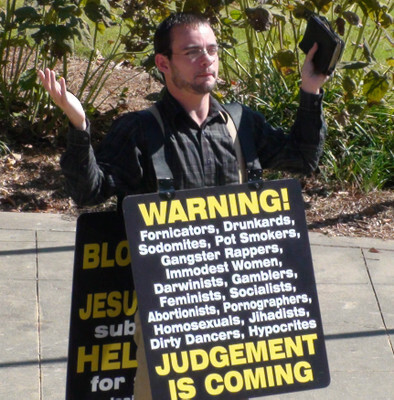 He has one that shows what smoking does to your lungs, ones about evolution, and one that lists all of the Ten Commandments to walk the crowd through. 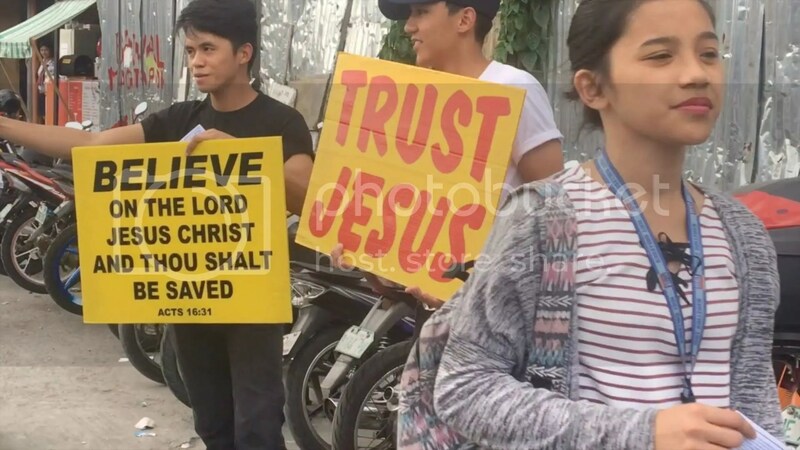 We also had scripture signs like Acts 16:31 “Believe on the Lord Jesus Christ and Thou Shalt Be Saved” and simple “Trust Jesus” signs. 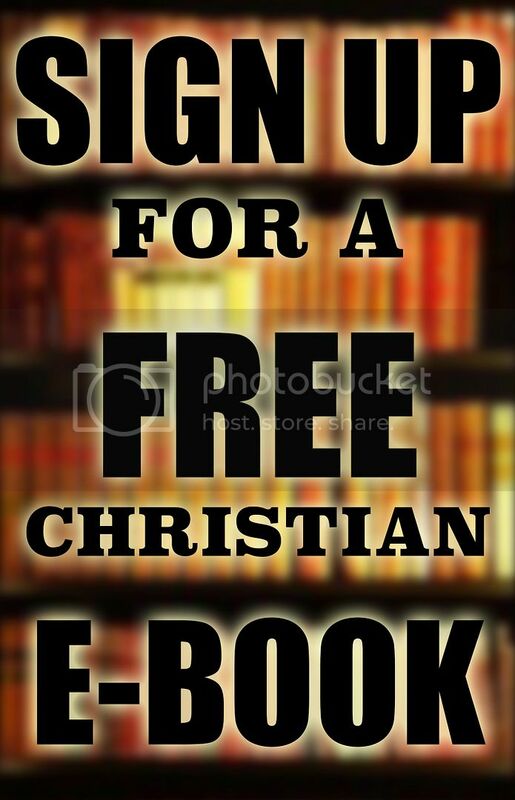 If nothing else, these signs will put the thought of Jesus into the mind of the public. 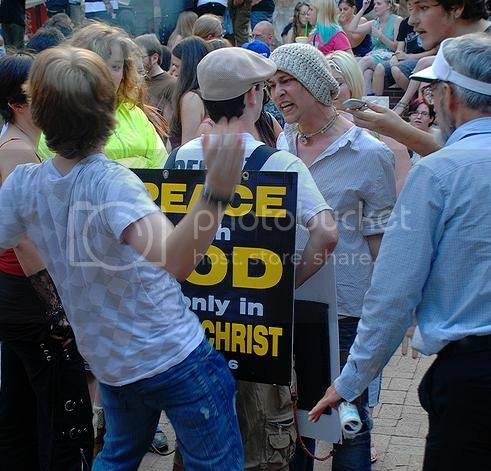 I met two young men on the streets who were not part of our school but were active street preachers. 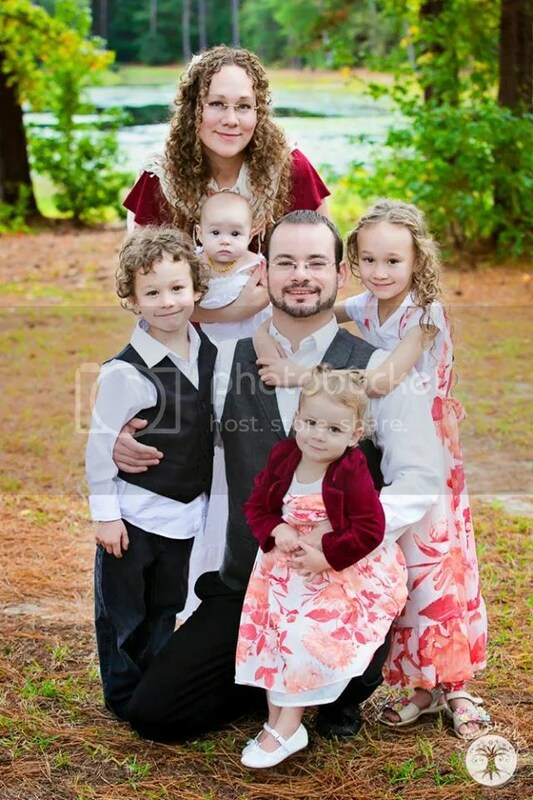 They said that my YouTube videos helped raise them up as laborers there in their country! You never know who is watching! 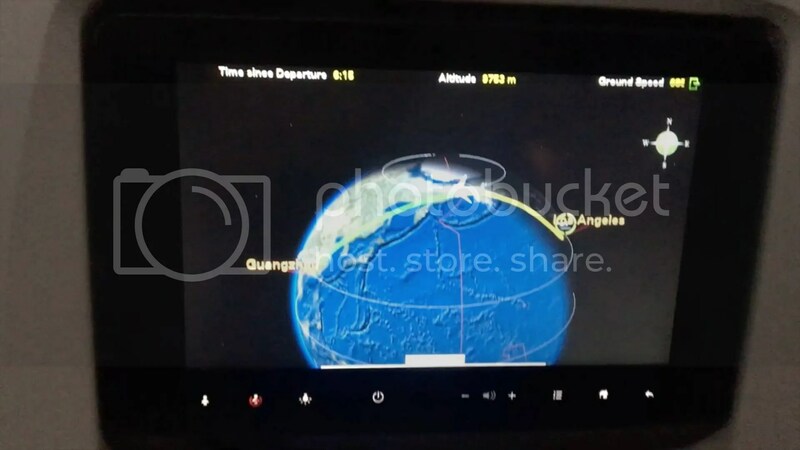 I knew that we had a worldwide audience. I praise God that laborers are being raised up all across the world! 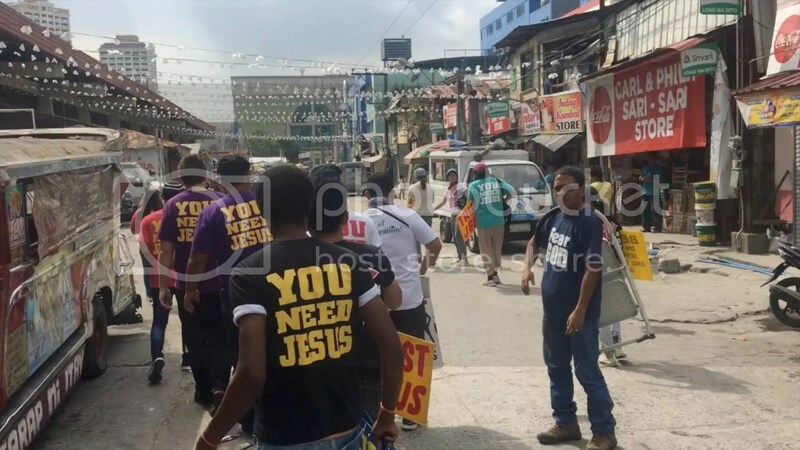 I was also pleased to see that some of the Street Preaching T-Shirts that our ministry makes were in the Philippines before I was! 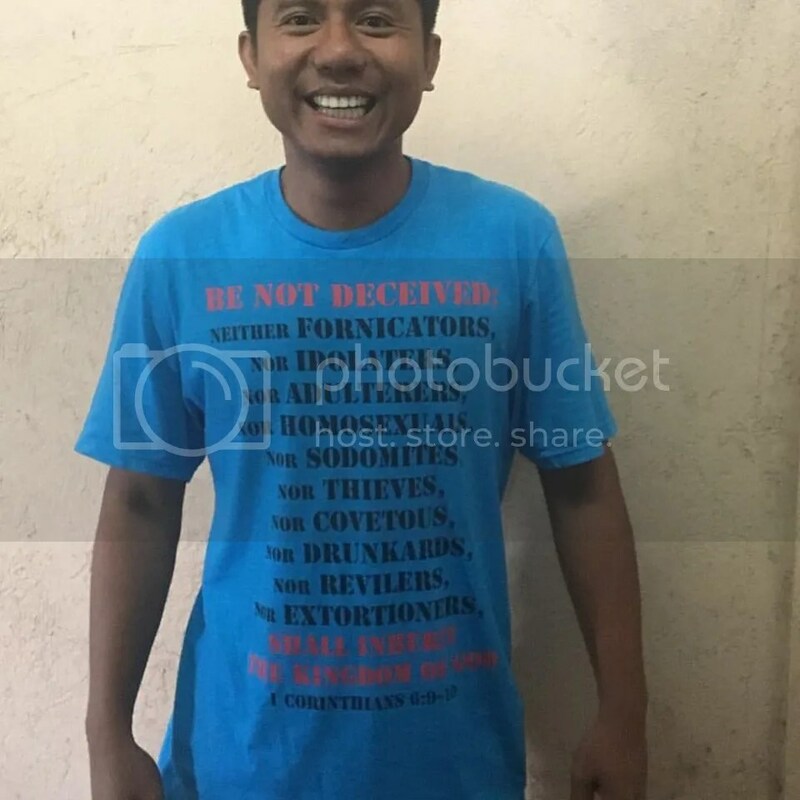 Here is a brother wearing a t-shirt that has 1 Corinthians 6:9-10 on the front and then verse 11 on the back! 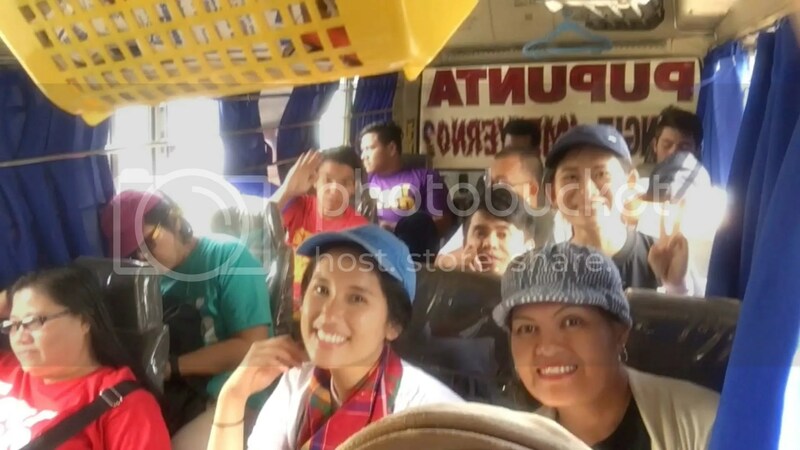 We traveled from Manila to the city of Baguio primarily because two former DTS students were having a wedding. 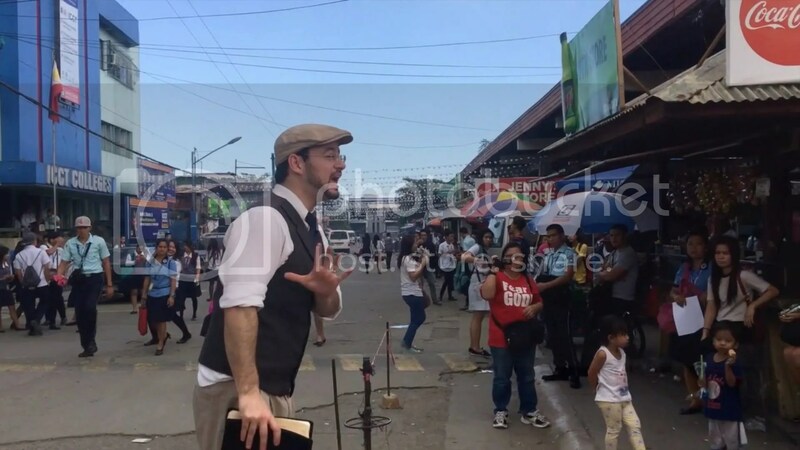 Since we were in the city, we also taught an Evangelism Seminar for a local church and then took the believers out to the streets for an outreach. 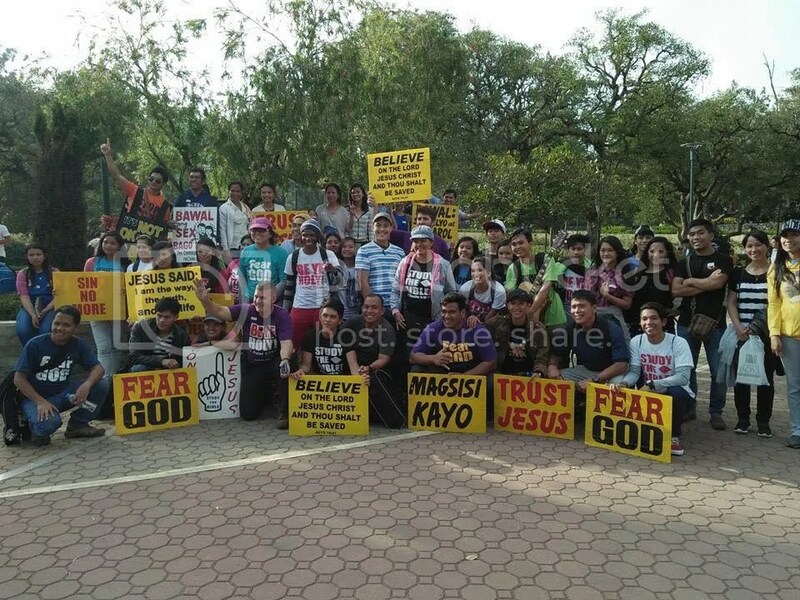 After the Seminar teaching sessions we hit the streets with the gospel. 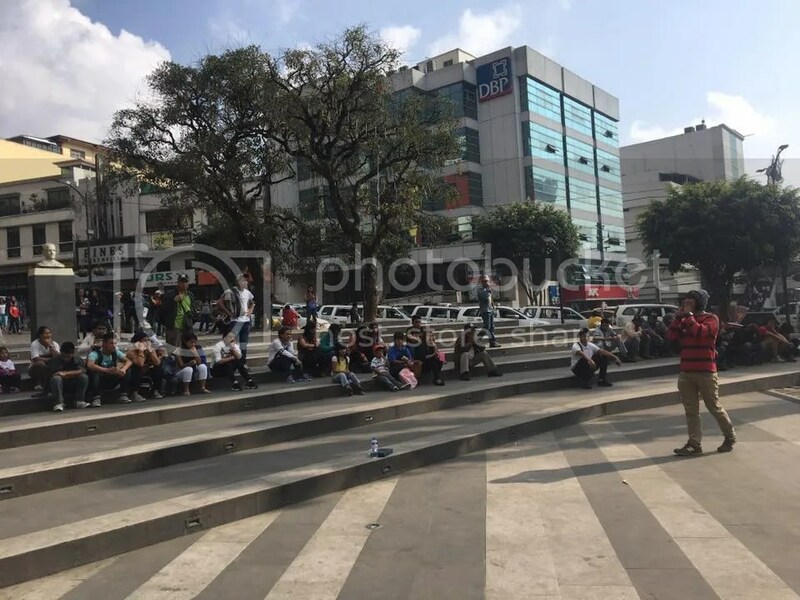 The group divided up into different groups and preached in different locations downtown. 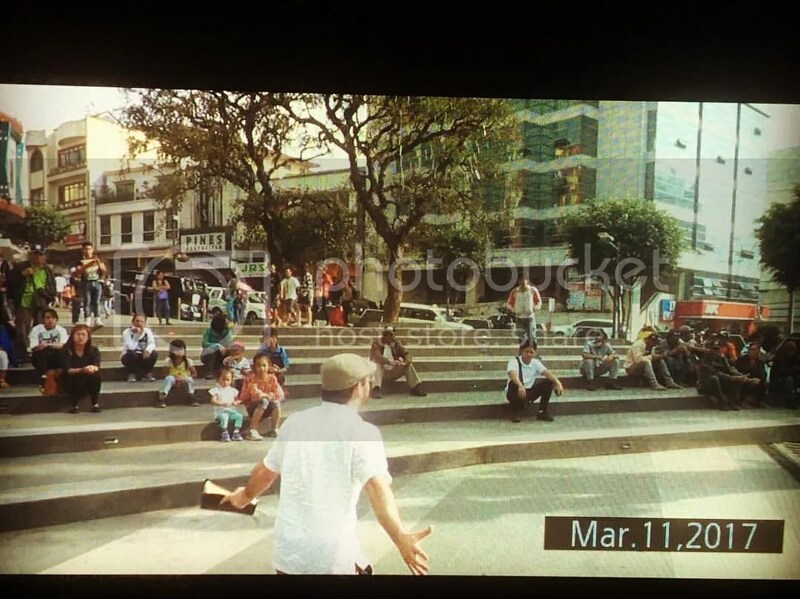 We preached at two or three different locations until we came upon this nice area that was perfect for open air preaching. The acoustics were good, there were lots of people, and there were stairs that people could use as seats. I love these types of preaching locations! We preached the gospel hot and strong! 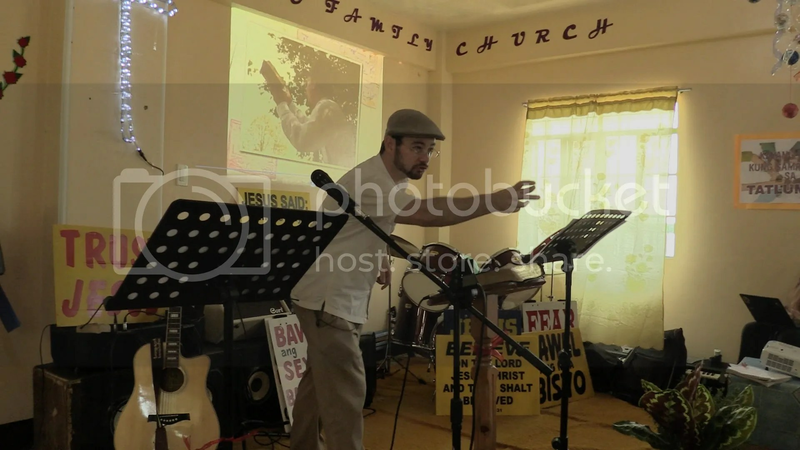 I shared my testimony and preached in English, except for the one phrase I knew in filipino – “Magsisi Kayo!” That means, “Repent all of you!” One brother from the church preached his heart out in filipino. There were lots of people listening as we preached. The crowd kept growing larger and larger. Afterwards, a woman came up to us in tears and told us that she was deeply touched by the preaching. The group ministered to her as another man came up to me and to my surprise he said that he knows me from YouTube! 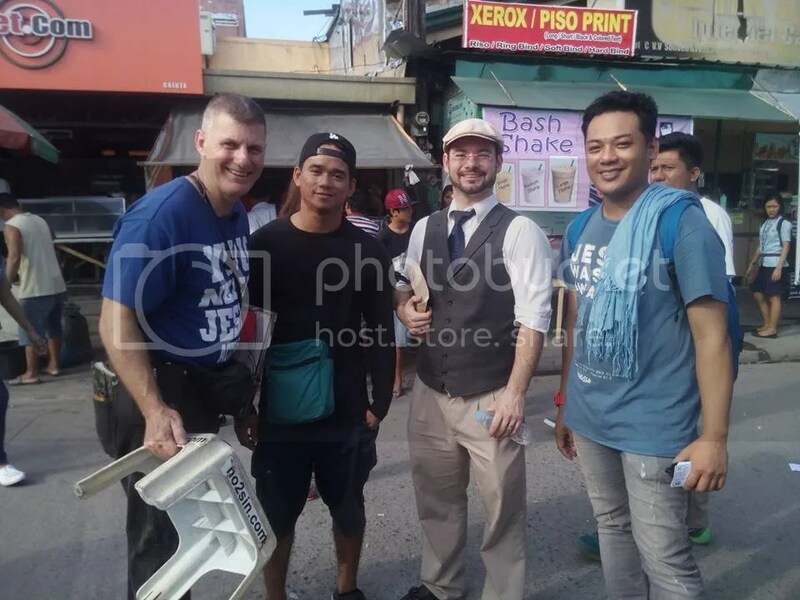 He said he watches my street preaching videos in America all the time and was happy to see me in the Philippines! Small world! 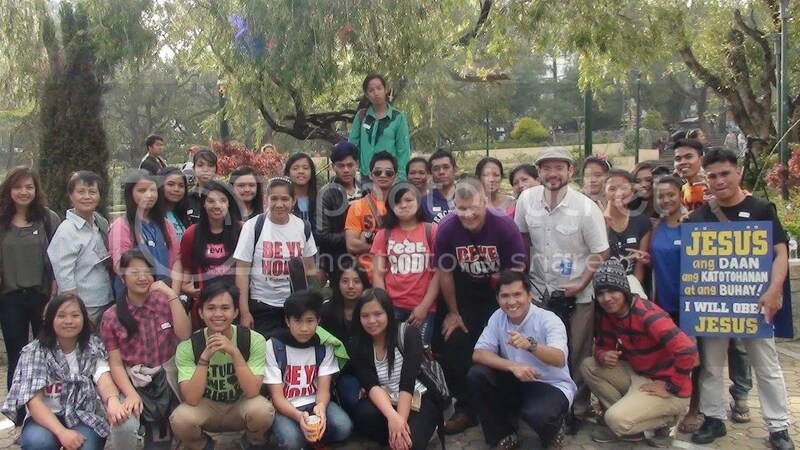 As you can see we ended up leading a very large group out to the streets of Baguio! 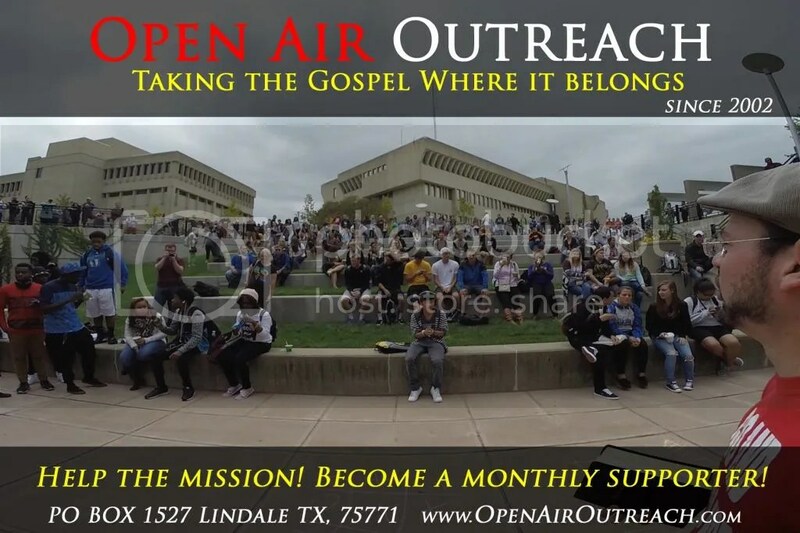 It was great to see all the gospel t-shirts, bible signs, and open-air preaching everywhere! Every team had their own stories and testimonies from the outreach! We are on the frontline making a difference! 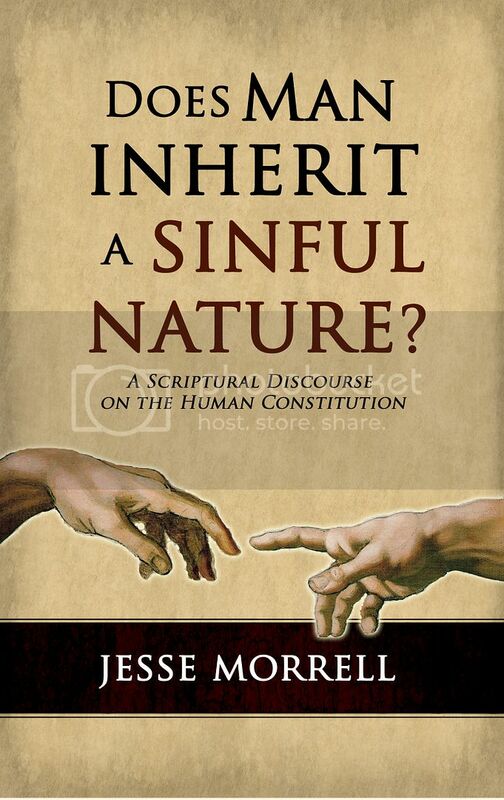 This entry was posted in Uncategorized and tagged Chico, God made me a Missionary, Haiti, Indonesia, Jamaica, Jesse Morrell, Loren Cunningham, Missionary, open air preaching, Orlando, School of Evangelism, SOE, Street Preaching, University of the nations, Youth With A Mission, Youth with a Mission Barbados, Youth with a Mission Cult, Youth with a Mission Kona, Youth with a Mission Songs, Youth with a Mission University of the Nations, YWAM, YWAM DTS, YWAM Kona, YWAM Orlando, YWAM Perth. Bookmark the permalink.